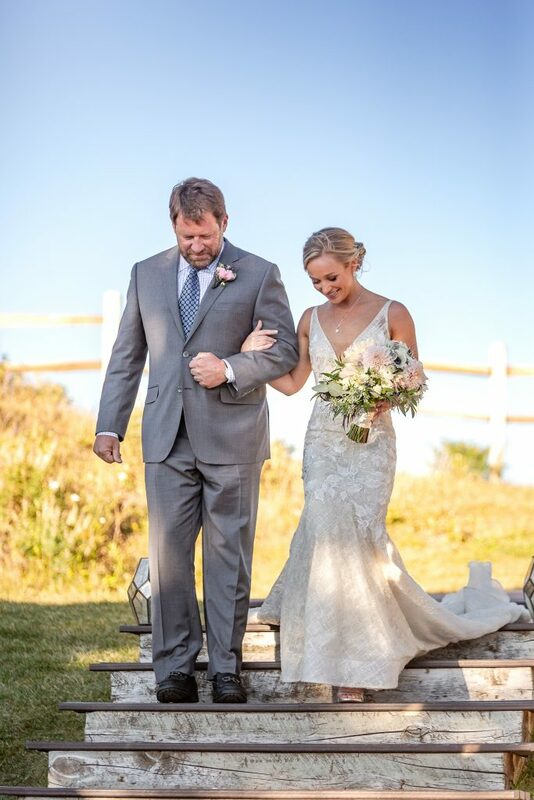 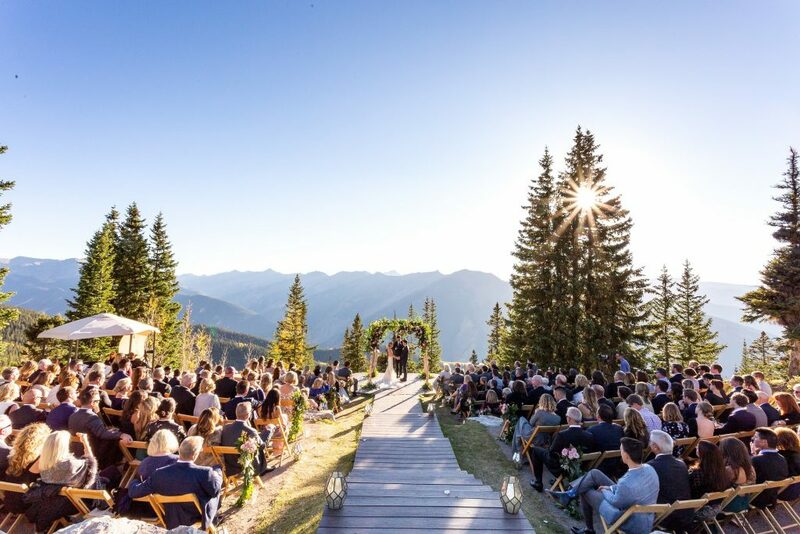 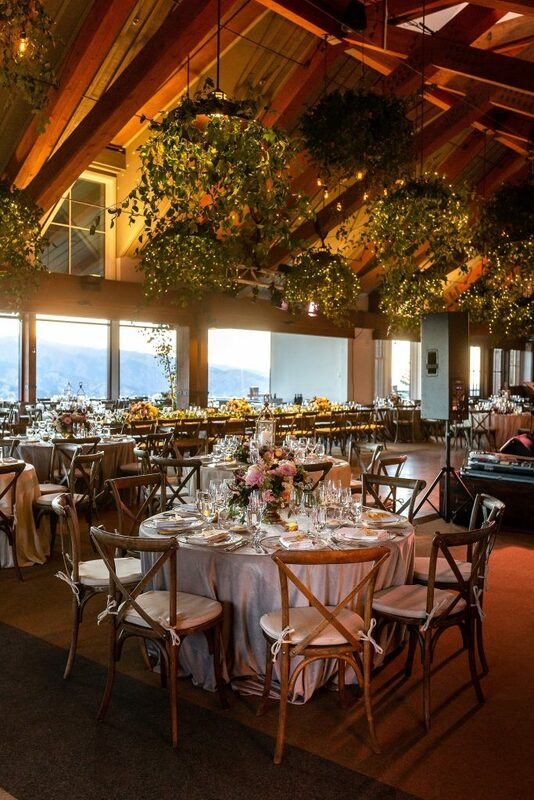 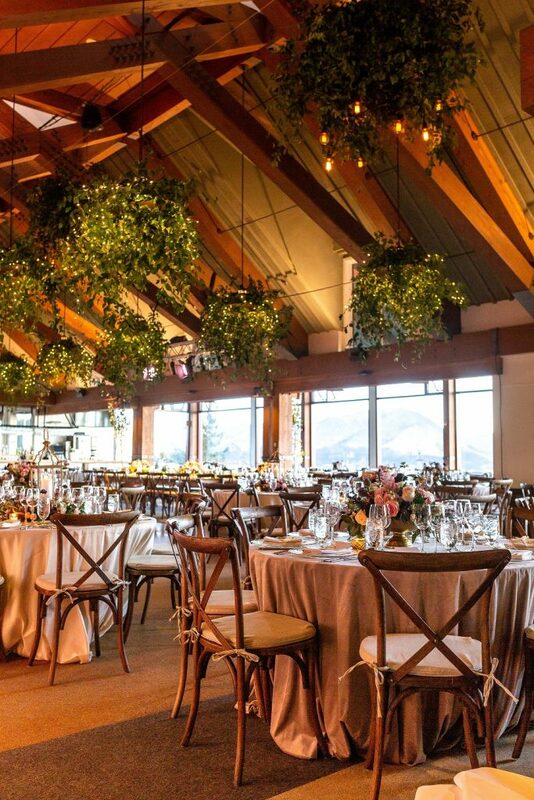 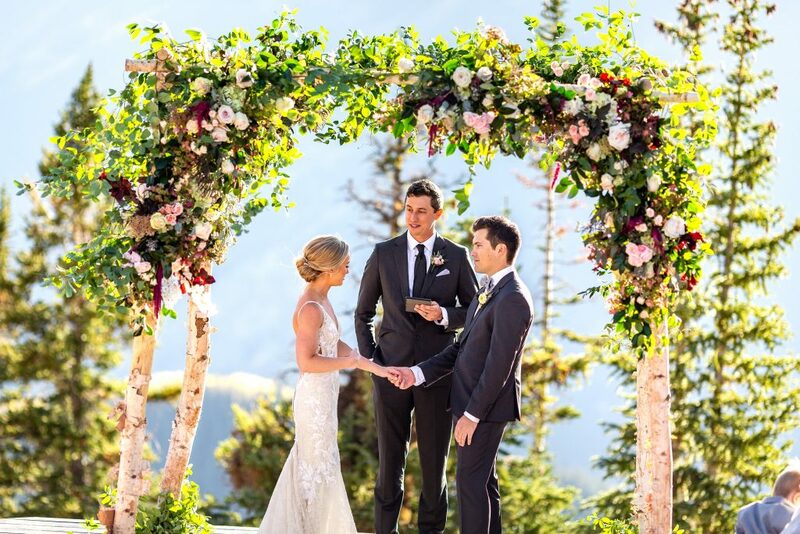 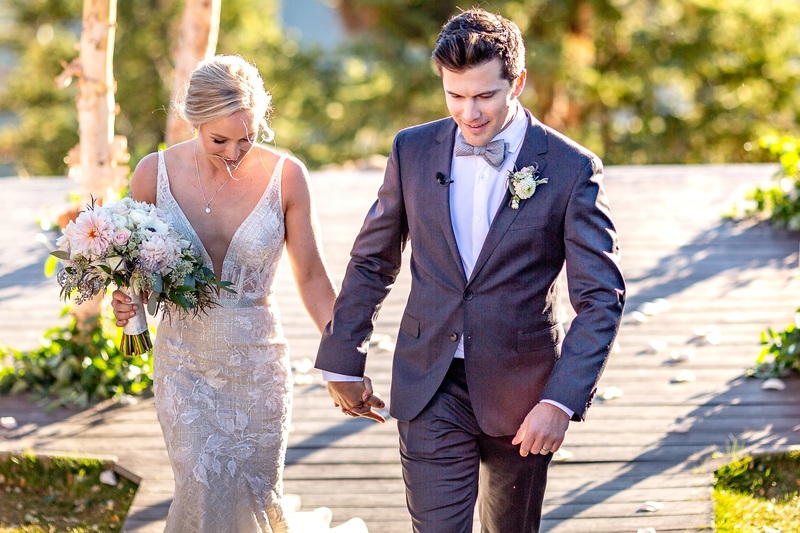 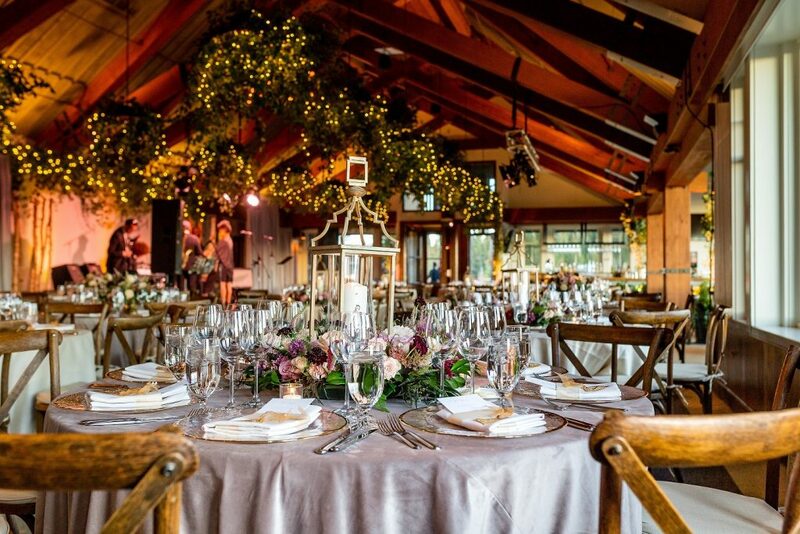 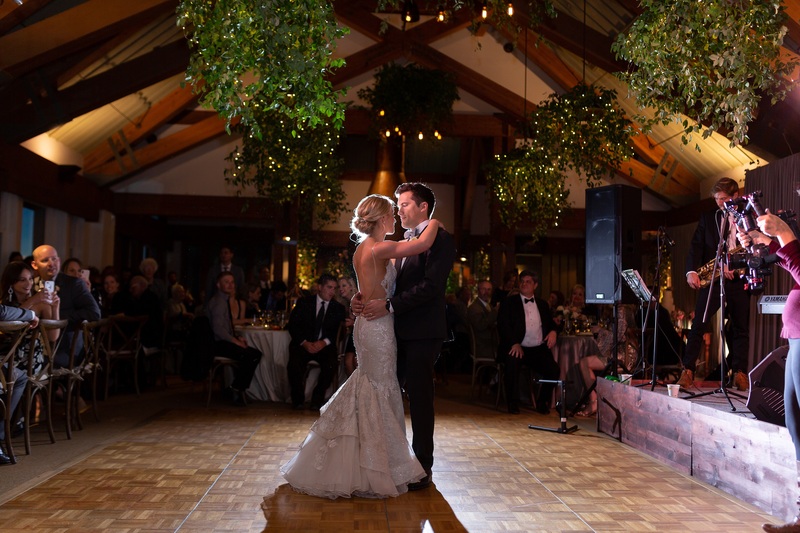 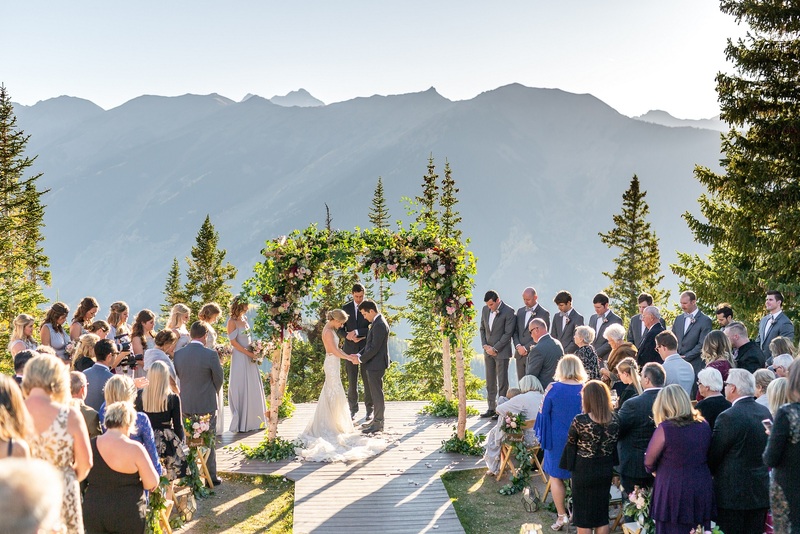 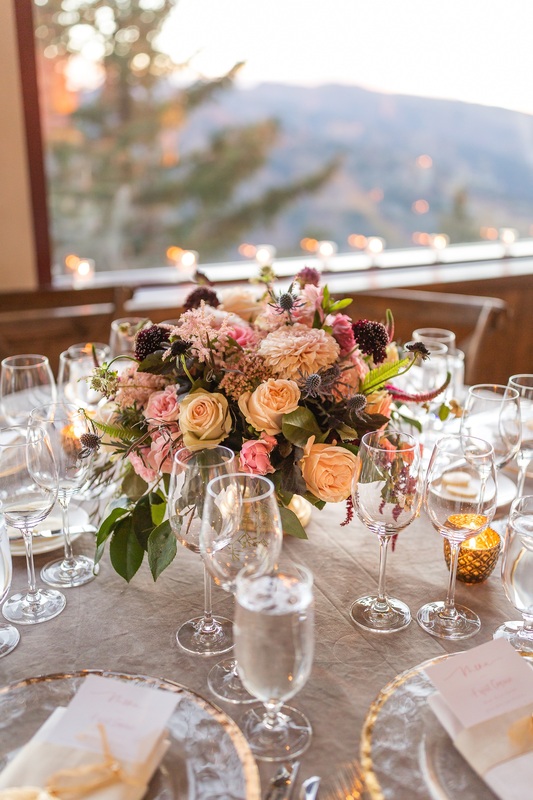 With the mountains of Aspen framing in the ceremony, a simple log and floral structure was the perfect accent piece for Ashley and Jordan’s wedding on the Sun Deck at the Little Nell. 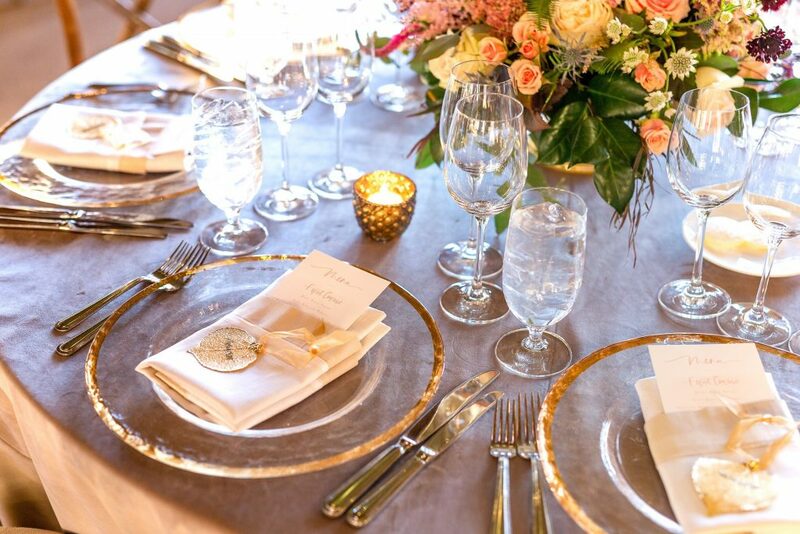 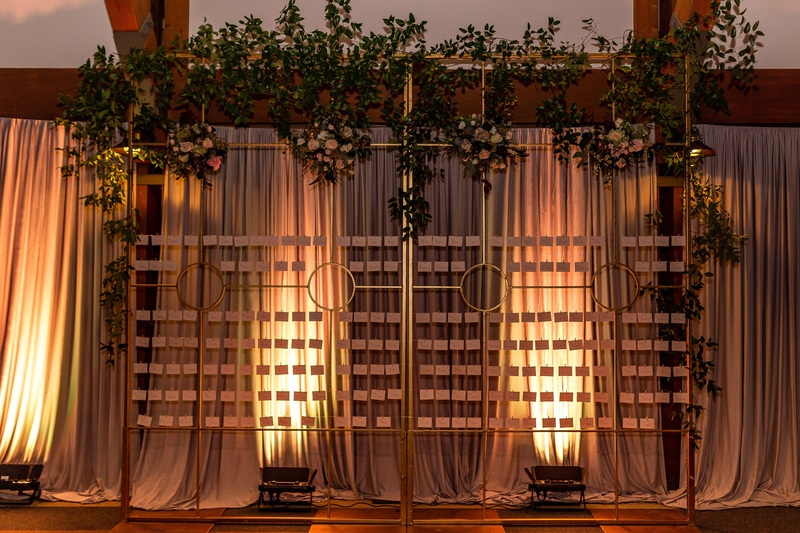 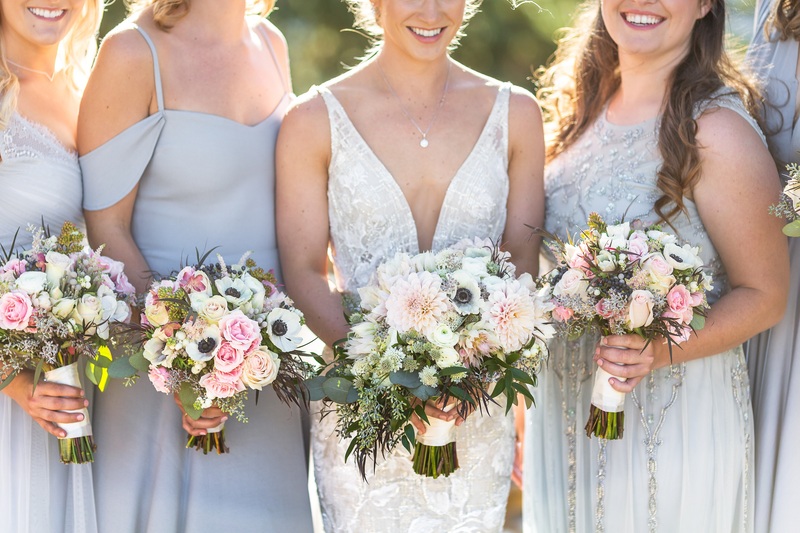 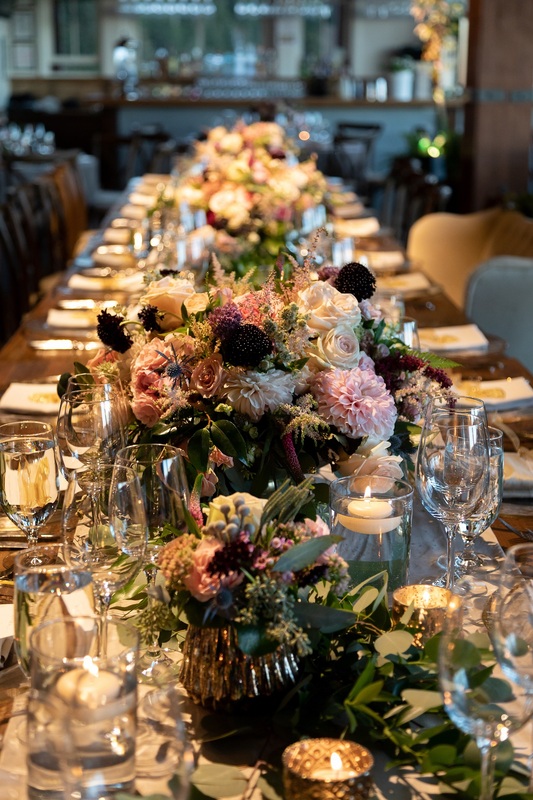 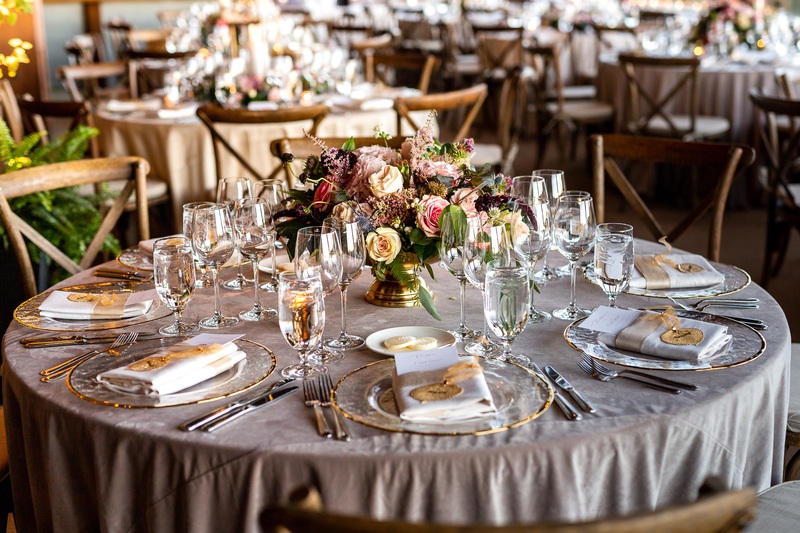 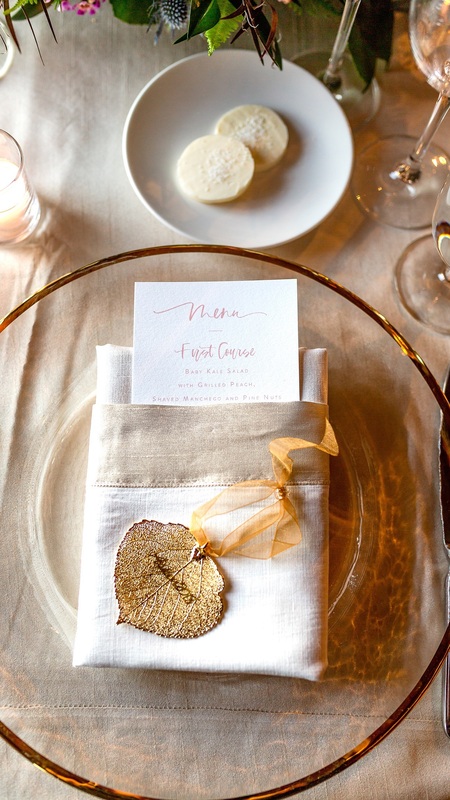 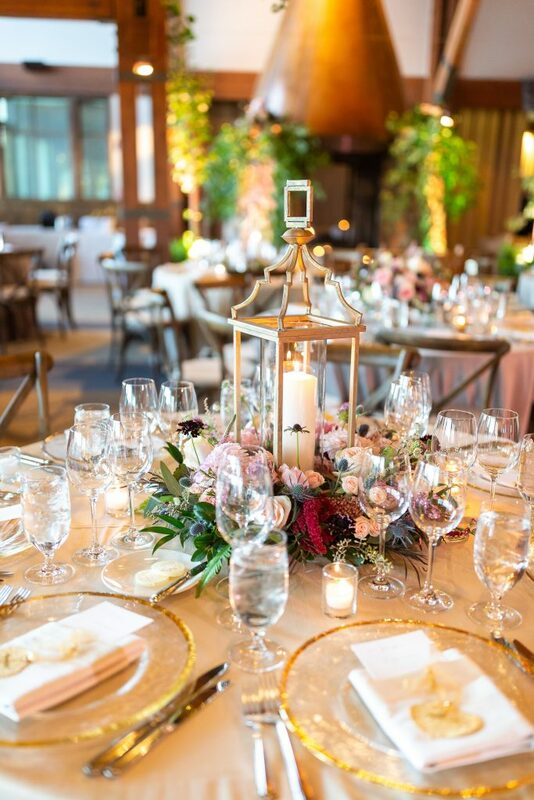 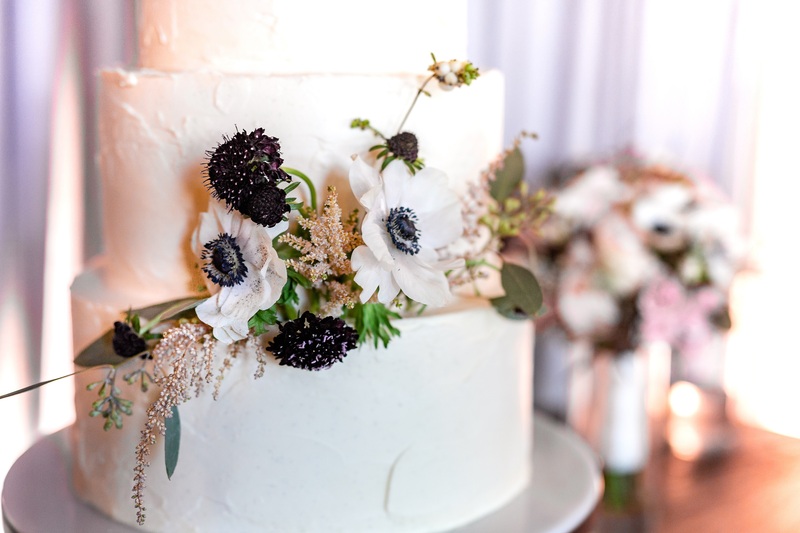 Gold accents, lush florals in varying shades of cream, mauve, and dusty pink, and luxurious velvet linens were an eloquent reflection of the wedding design. 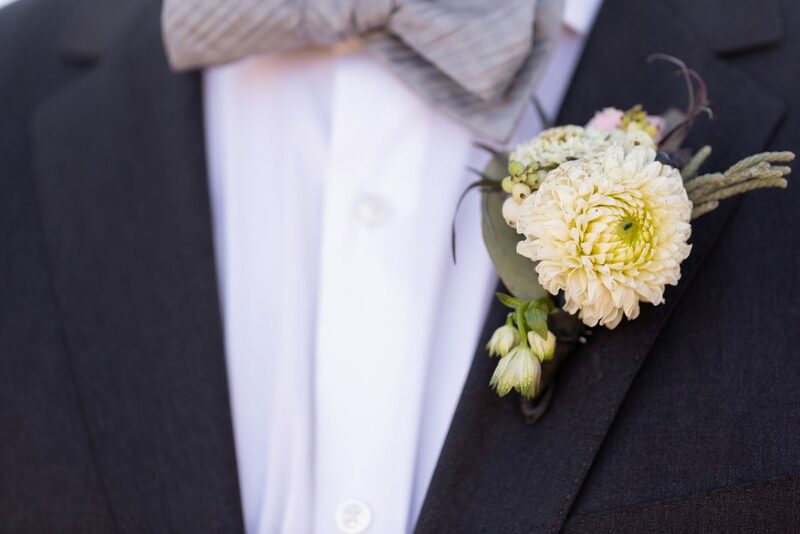 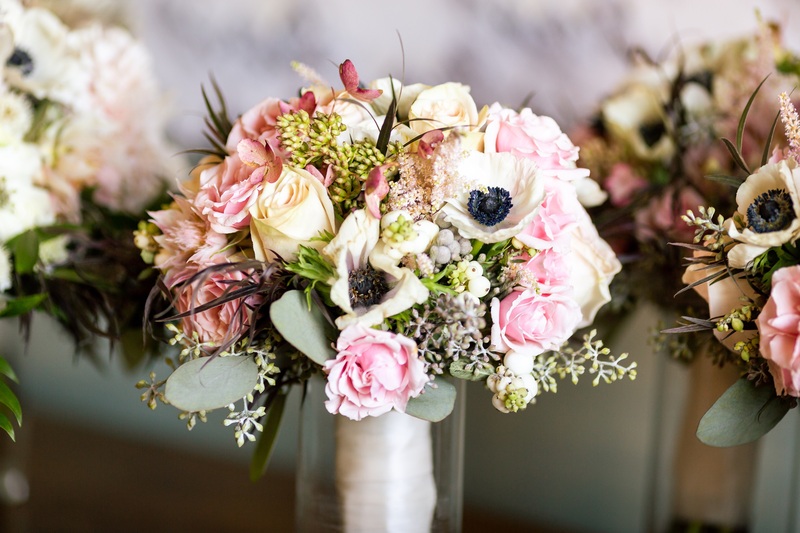 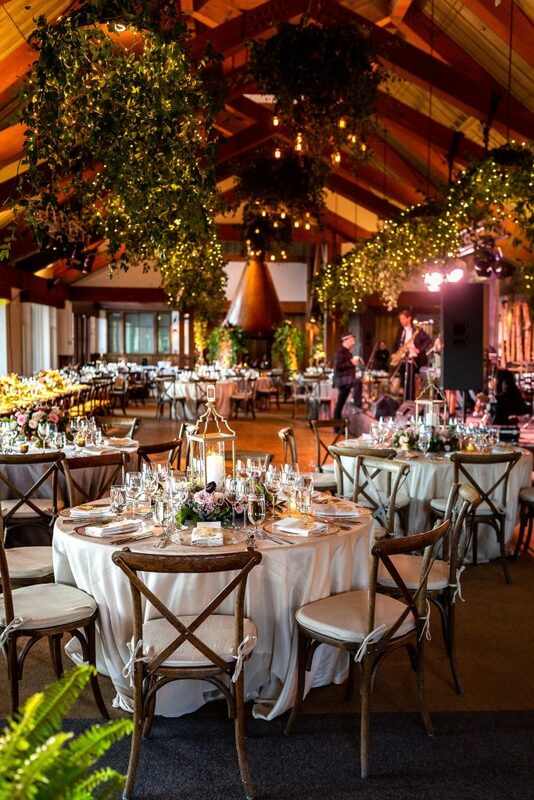 The romantic atmosphere was enhanced by a linen loveseat for the couple to share, bars with aged wood, and centerpieces that carried over the soft elements.